POLITICIANS are often in the public eye, but ironically rarely do they give an insight into their personal lives. 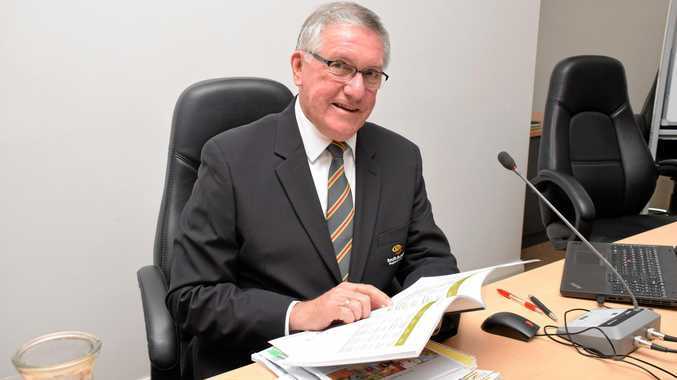 Mayor for the South Burnett region, Keith Campbell, sat down for an in-depth chat to break that mould. He shares parts of his life from outside of council, including what makes him tick, what he does to relax and how he deals with the constant complaints from residents about their roads, rates and rubbish. It's an interesting insight into a side of the mayor rarely shown. Matt Collins: Residents don't often let you know when things are going well but they will when they are not happy. Does Keith Campbell ever go home and say 'just once, can I get a pat on the back'? Keith Campbell: Well, despite the fact the media are often the ones making the complaints there are a lot of other people who are giving high level of support for council but that doesn't strike a good headline. MC: Saying 'everything is great' doesn't sell newspapers. KC:That's right, but the opposite does sell newspapers and I accept that and I value those opinions as well. I don't want everybody to be agreeing happily with absolutely everything council does. MC: When you are not doing mayoral duties what takes up your time? KC: Well at this point in time, I always make room for church worship on a Sunday. That is my background and I have strong belief. KC: I always have, I was born into a Christian home and the principles of Christianity work in my life. MC: You enjoy gardening too I hear. You have a bit of a green thumb? KC: I do, our garden is sometimes neglected but it still seems to look half ok and that's a reward not just for myself but my wife as well. MC: She is lovely your wife. I have chatted to Marion before, can I say you are definitely punching above your weight there Keith. MC: How long have you guys been married? KC: Coming up to 44 years. MC: You'll be told about it? KC: Rather than that, be man enough to admit the fact you got it wrong and move on. MC: You seem to do that in council as well I've noticed. You are happy to put your hand up when a mistake is made. KC: I don't tell lies. Why? Because I am not that good at remembering. So I prefer to be very consistent in the words that I speak and then I don't have to worry.